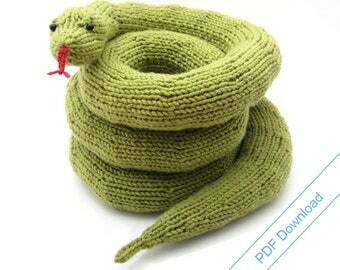 Knitting Patterns eBook. 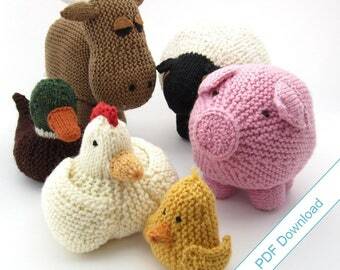 Farm Animal Toys. 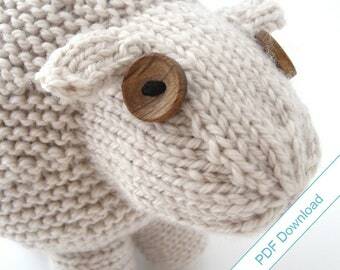 "Around the Barnyard"
Knitting Pattern PDF. 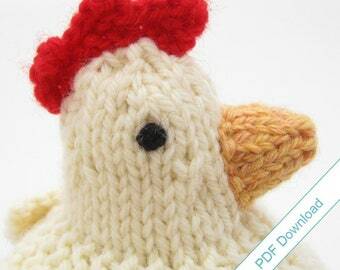 Knit Your Own Mother Hen. 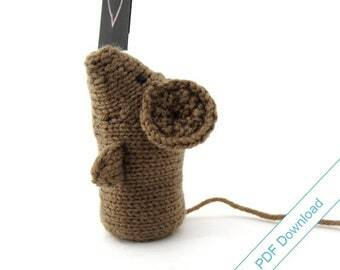 Announcement Do you have left over yarn and a need for non-candy Easter basket filler? 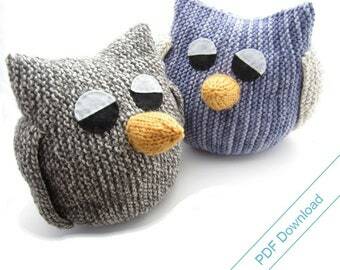 Try the Little Bird Knitting Pattern, it uses only 40 yds of sport weight (or DK) yarn and it's a quick knit. 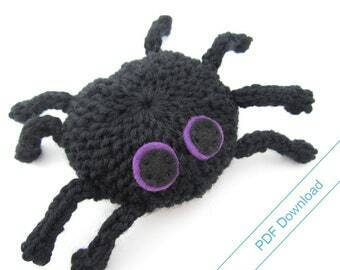 Do you have left over yarn and a need for non-candy Easter basket filler? 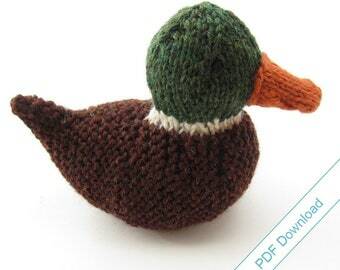 Try the Little Bird Knitting Pattern, it uses only 40 yds of sport weight (or DK) yarn and it's a quick knit. Small Grad Gift. Clever Brown Owl. Love Note. 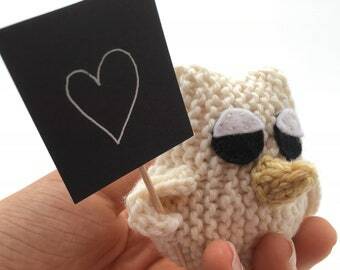 Small Owl with Heart on a Sign. Graduation Gift. Funny Little Gray Owl. 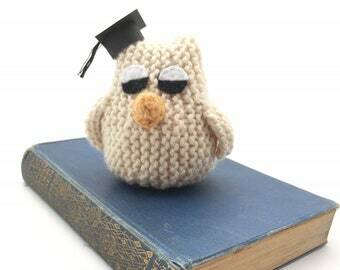 Graduating Owl. Small Fun Grad Gift. 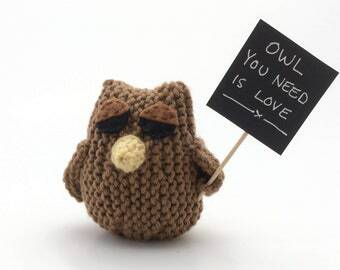 Small Love Token "Owl You Need is Love". 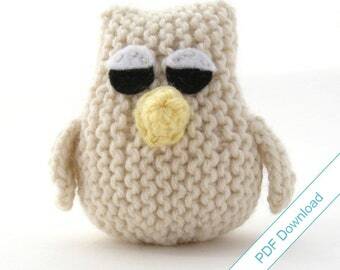 Gift Owl. 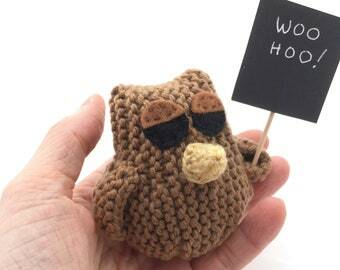 Little Knitted Bird saying "Woo Hoo". 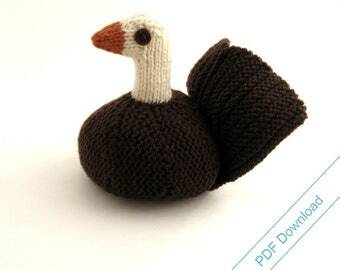 Knitted Toy Turkey Pattern PDF. 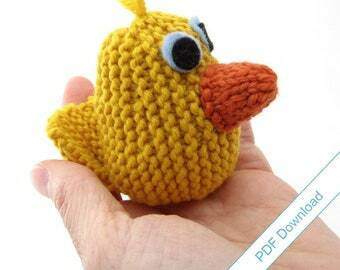 Knit Your Own Bird. 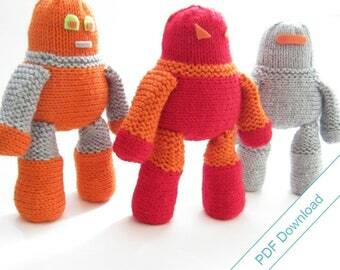 Robot Knitting Pattern Download. DIY Cuddly Robot. 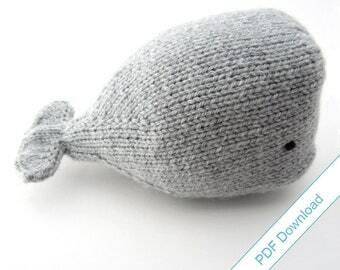 Knitted Whale Pattern PDF. 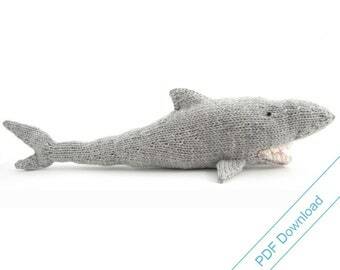 Knit Your Own Sperm Whale. 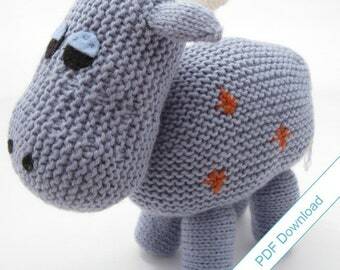 Knitting Pattern PDF Toy Cow. Knit Your Own Herd. How to close the holes made by short rows. A little bit of Hedgehog sewing. How to pick up stitches for Shark fins. From a Natty Knits blog tutorial about short-row shaping. 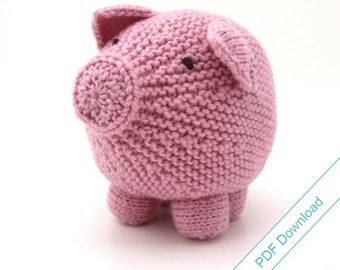 When my little boy was born, I wanted to knit him something cuddly. I looked through lots of toy patterns and discovered that most of them involved knitting lots of small pieces and sewing them together. That did not appeal to me. So I started designing my own patterns. Natty Knits patterns use short-row shaping, knitting in the round and picking up stitches to keep the sewn seams to a minimum. The patterns never use wires or plastic shape inserts, it's all done with the power of yarn. 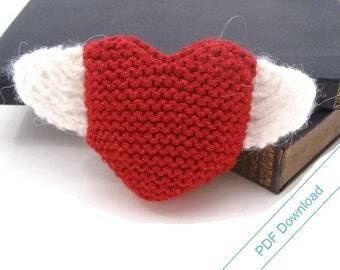 Each Natty Knits pattern has a full blog entry of Hints and Tips that the knitter can refer to. I also blog about my design process, inspirations and other techniques that knitters might find useful. Occasionally I am contacted by art directors, ad agencies and arts organizations who want to use my images. I almost always say yes. 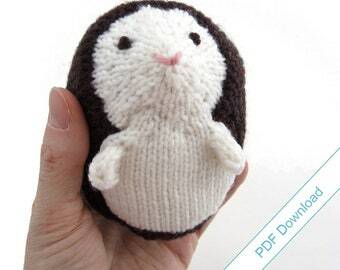 So if you've seen that shark in an ad campaign, or that duck on the front of a festival program, you've come to the right place to learn how to knit one for yourself. Let me help you knit around corners. An avid knitter and a stay at home Mom. I use the name Natty Knits because both of my real names are hard to spell. 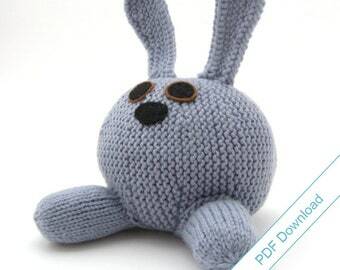 Natty Knits is a one woman operation devoted to the design and creation of cute knitted things. Items will be shipped within two business days of receipt of payment. Shipping fees are based on weight and cost of packaging materials. Items shipped to the US will be sent by first class mail. Items shipped to the rest of the world will be sent by airmail. Shipping does not include insurance or any fees associated with international customs charges. If you would like to purchase insurance or upgrade to priority mail service, please contact me prior to completing the payment process.